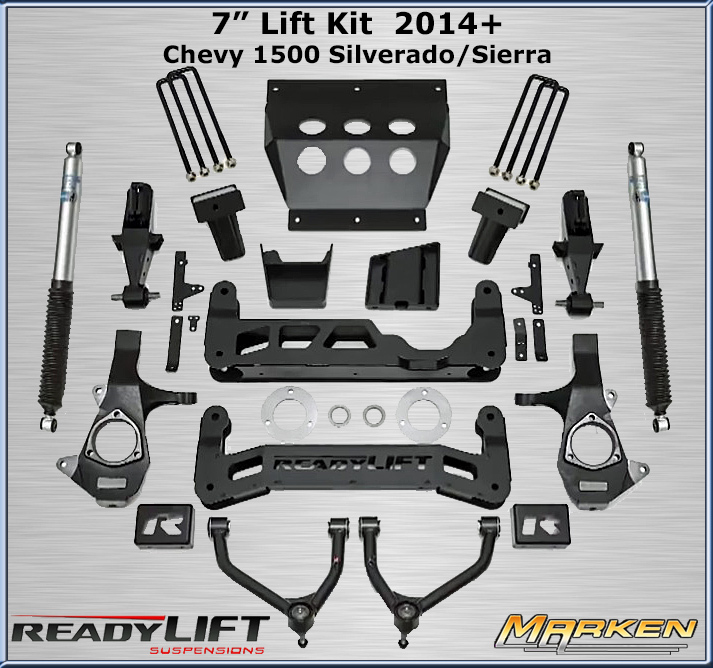 Readylift 7 inch lift kit system for 2014-UP Chevy Silverado and GMC Sierra 1500 trucks via Marken Performance. This kit will even work with MagneRide equipped vehicles and allows for up to 35" tires on 9" wide wheels with -12 offset. Maintains your factory ride, handling and turning radius. Front Control Arms are maintenance free with TCT Bushings. Premium Bilstein shocks are included for the rear. This kit comes in 3 different versions depending on your OEM front control arm configuration.